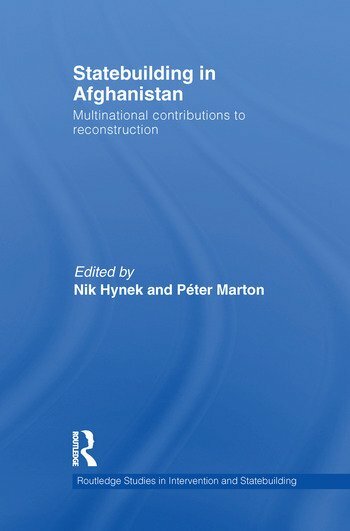 This edited volume empirically maps and theorises NATO-ISAF’s contribution to peacebuilding and reconstruction in Afghanistan. The book provides a contextual framework of the NATO participation in Afghanistan; it offers an outline of the security situation in Afghanistan and discusses geopolitical, historical, and military factors that are related to it. It argues that a general underlying factor is that although the stated goals of the Afghanistan mission may be similarly formulated across the ISAF coalition, that are a great number of differences in the nature of coalition members’ political calculations, and share of the burden, and that this induces a dynamic of alliance politics that state actors attempt to either mitigate, navigate, or exploit - depending on their interests and views. The book asks why there are differences in countries’ share of the burden; how they manifest in different approaches; and how the actual performance of different members of the coalition ought to be assessed. It argues that understanding this offers clues as to what does not work in current state-building efforts, beyond individual countries’ experiences and the more general critique of statebuilding philosophy and practice. This book answers key questions through a series of case studies which together form a comparative study of national contributions to the multilateral mission in Afghanistan. In so doing, it provides a uniquely sensitive analysis that can help explain coalition contributions from various countries. It will be of great interest to students of Afghanistan, Asian politics, peacebuilding, statebuilding, war and conflict studies, IR and Security Studies generally. Nik Hynek is Research Leader of the Centre for International Security at the Institute of International Relations in Prague, and Lecturer at the Metropolitan University, Prague, Czech Republic. Péter Marton is currently Assistant Professor in the Department of International Relations, Corvinus University of Budapest, Hungary.